VICE Media employees creating video content across the company’s media outlets have unionized with the Writers Guild of America, East, AFL-CIO (WGAE) and Motion Picture Editors Guild, Local 700 of the International Alliance of Theatrical Stage Employees, AFL-CIO (MPEG). 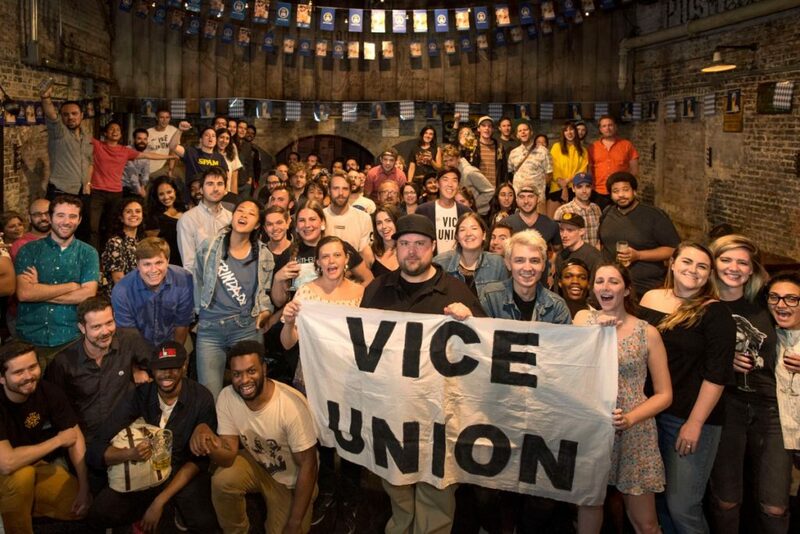 The company’s recognition of the WGAE and MPEG results in union representation for approximately 430 staff and freelance employees working on video content for VICE.com, the VICELAND cable channel, and VICE programming on HBO. In addition to these newly organized employees, WGAE already represents approximately one hundred journalists working on written content for VICE.com. Check out some of the media coverage of the organizing effort.